One of approximately just 35 Porsche 997 GT3 RSRs factory-built in 2007, this car was supplied new with nearly every available factory option and boasts extensive updating, minimal hours, and excellent condition in keeping with its status as the Autometrics Motorsports team car. Most importantly, it’s also one of the fastest car’s we’ve ever had in our stables. Find this 2007 Porsche 997 GT3 RSR for immediate inspection and purchase here at our Charleston, SC facility for $225,000. To be sure, any factory-built GT3 RSR is a special machine, as each has been built to the full-extent of international sports car racing rules and is intended to compete against the world’s automakers at the highest levels. Starting with the already-potent GT3 platform, Porsche Motorsport makes significant changes to ensure the RSR is without peer. The chassis is seam-welded for increased stiffness. Rear fenders are enlarged for a wider track and massive 710 diameter tires. The 3.8 liter engine runs without restrictors and through independent throttle bodies for added power and sharpened throttle response. 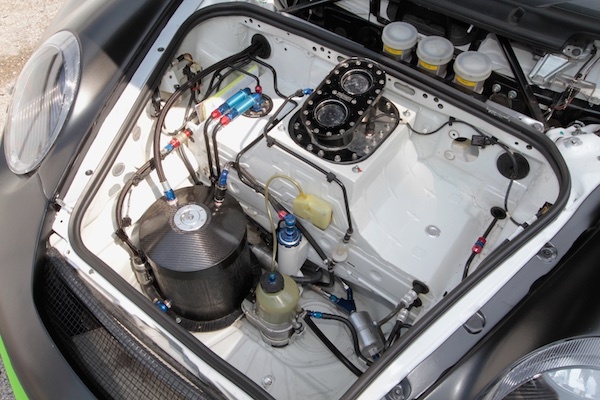 The transmission—though housing readily available GT3 mechanicals—is considerably shorter than the standard transmission to permit revised engine placement, improve weight distribution and reduce overall weight. 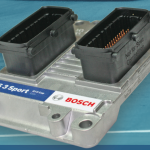 Throttle, brake and clutch pedals are floor mounted to allow better modulation. Suspension pick-up points are altered to maximize mechanical grip from the massive race tires. Both chassis and dashboard wiring harnesses are “pruned” to a bare minimum to reduce weight. The clutch is lightweight carbon to further reduce weight and to allow quicker revs and shifting. And while all of these factory changes are present on this GT3 RSR, Porsche supplied this RSR with nearly every available option according to the special wishes of this car’s first owners. These additional endurance racing options include special Brembo calipers that allow the use of thicker—and therefore longer lasting—brake pads, an auxiliary oil tank and digital oil-level monitoring system that allows for on-the-fly oil refilling, and a comprehensive endurance lighting system that provides ample illumination for night racing. This lighting system includes HID headlights and foglights, and provisions for backlit number boards. These endurance options, when taken together with RSR’s incredible factory specs, resulted in an exceedingly potent racecar. Since it’s construction, however, it has been further upgraded with 2012 and 2013 RSR/R updates. 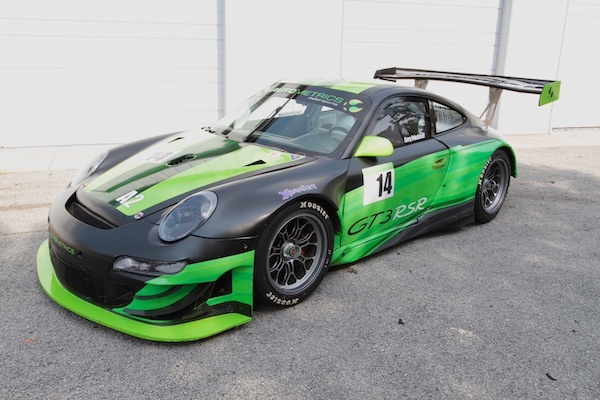 These updates include full, 2012-spec GT3 RSR bodywork and rear suspension comprising large flares, clearanced front fenders (to clear 680 diameter tires) a high-downforce front splitter, dive planes, and a massive 2013 GT3R rear wing. 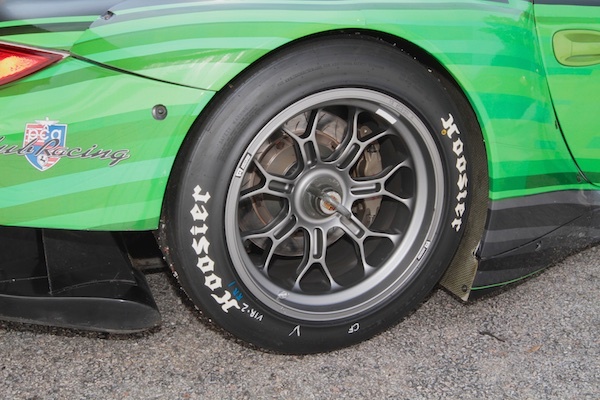 Wheels have been updated to featherweight, single-piece Motegi units in 2012 RSR sizing. 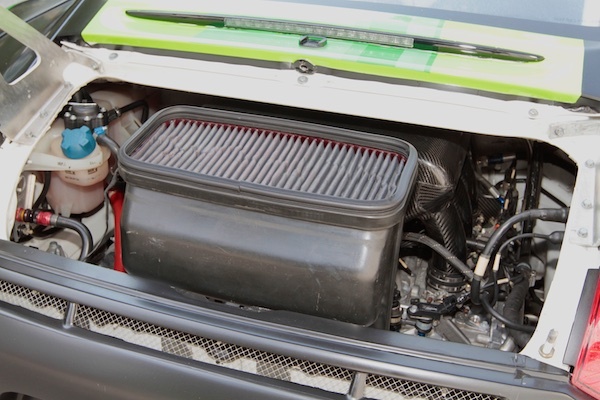 Finally, additional updates include “Pro” data logging and telemetry upgrades to the MoTec dash, and the installation of Bosch Motorsport ABS, which is being installed at the time of writing. 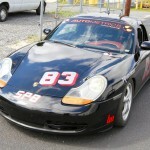 Thus equipped, this RSR regularly earns fastest time of the weekend and frequently dominates its class. Furthermore, as an Autometrics Motorsports team car, it has received constant, and obsessive levels of tuning, maintenance and preparation. 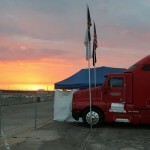 The engine and transmission show only 20 approximate hours of use, and total time on the chassis is less than 75 hours. 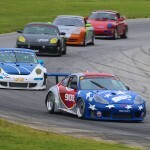 The RSR is ready to win—right now—and is in no uncertain terms, among the fastest GT3 based Porsche racecars in the U.S.